There was a rather troubling article in the weekend papers. It was about the “bold” move of Hobsonville Point Secondary School to do away with NCEA Level 1. Now let’s be clear, this school is clearly setting a high standard in its commitment to the new pedagogy and in its comfort in giving to students a higher degree of responsibility for their learning. It is innovative in its use of space and in all respects seems to be pushing the direction of secondary education towards a much more positive set of outcomes than is typical. So, all power to their bow for this. If I could be a little more mischievous. I read reports are that a group of parents have removed their children from this school to send then to such schools Conventional College and the Examination Excellence Academy. This encourages me to think that the HPSS is headed in a positive direction. When you see who is against them you have to want to support them! But I believe that their desire to jettison NCEA Level 1 is based on some misunderstandings about NCEA and is to misjudge its usefulness in supporting the very things that HPSS wishes to emphasise. For a start, NCEA is not about examinations. This could have been the journalist speaking but the article claimed in support of the move that this would free students from the pressure of examinations. 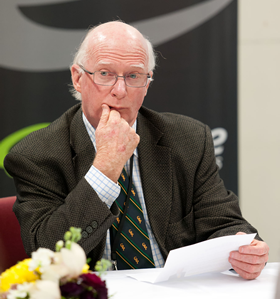 The tragedy of NCEA is that schools have had great difficulty in understanding the freedom that NCEA offers, assessment by examination is not essential and a whole array of assessment techniques can be brought into play – especially at Level 1. Secondly, NCEA is not in any shape or form related to either time served or age reached. There is no connection in regulation or law between Year 11 and NCEA Level 1, Year 12 and NCEA Level 2, or Year 13 and NCEA Level 3. Furthermore, there is no requirement that assessments be restricted to one level at a time. For a school aiming to liberate the curriculum I cannot think of a more ideal assessment framework. For a school aiming to devolve power to students I cannot see a more motivating assessment framework that allows for assessment at any time and at multiple levels. Could the school not have chosen simply to free up the curriculum with NCEA being available for students to nominate the points and levels at which they wish their progress to be assessed? This could start in Year 8 with no problems. Well, the argument might run, what would you do in the more senior years if the students have attained earlier than Year 13 their New Zealand “school qualification”? The answer to that is: do what a school qualification intends, use it as a staging post for getting on with non-school / postsecondary qualifications. This would allow students to lay a sound basis for future careers while they can still access education at no cost to the parents. Each level of the education has a role to play – primary lays down the base of essential foundation skills, secondary hones those skills into sets of discipline related pathways into careers and employment while tertiary delivers the technical skills required to start and continue in those careers. Nobody in education plays the role of being the be-all-and-end-all to a young person’s journey through the system – we all play only a part. Using the flexibility that NCEA was designed to bring into the system is a key. One day NZQA will deliver (and it will!) on its promise (as outlined by CE Karen Poutasi in her SPANZ 2013 speech) to make available “assessment to anyone, anywhere, anytime, online and on demand.” We need schools such as Hobsonville Point Secondary School to start showing us the way forward towards this new world. I am sure that there is a discernible breeze getting up among the education trees. I have recently spent time with Iwi groups who are looking at the value of such developments as the MIT Tertiary High School in jump-starting an improvement in Māori educational achievement. Demand for places in trades academies is increasing markedly and schools are asking for trades courses to be delivered within their programmes and on their premises. In Alberta, Canada, I made a presentation (via video) about the MIT Tertiary High School to a major government education conference and there is ongoing work taking place to look at the value of such a development in Alberta, a province which probably has been more successful in adapting and changing than the more vaunted Ontario. In the weekend papers a story is told of a set of early childhood education centres in the UK that is using experience with real trades tools and activities and a setting (workbenches, real materials and so on) to develop quality motor skills and social skills among the preschoolers. As these English speaking systems get on with trying to address disengagement and failure (just as we are) some principles emerge which should be the foundation for future actions in response to the achievement issues. Early access to applied learning will open up a pathway for students who are jettisoned by the university-bound track that constrains the senior secondary school programme. We hear so much chatter about different learning styles, about De Bono and and his jolly hats, about reflecting students aspirations and on and on and on but we see no action in response. Early access to applied learning through the trades ticks all the boxes – a range of different learning styles can be catered for and the highly demanded skills of team work, planning and discipline are able to be integral parts of the programme. But most of all, when students reach the senior secondary school age they are wondering about their futures beyond school and trades programmes give a line of sight to employment and careers. Education become purposeful rather than for no obvious reason. The age range 14-19 years is critical if we are to address disengagement and failure. It is where disengagement occurs, it is where the failure become manifest, it is where students become dispirited as they realize that they are ill-equipped for the world ahead. They are lured into a future as a NEET because it seems to be the only option. But what might once might have seemed to be the rosy glow of Shanghri-La quickly turns out to be neither rosy nor rewarding. If we are to canny sailors we should be responding to the breeze before it develops into a storm that defies containment and might well be beyond our capability.